Walking around East London in search of buildings taking part in London Open House Weekend, my eye was caught by this vast structure on Commercial Road. Now known simply as The Mission, it began as the Empire Memorial Sailors’ Hostel and was originally built in 1923–4 to designs by Thomas Brammall Daniel and Horace W Parnacott, with 1930s additions by George Baines and Son. Pevsner’s London 5: East volume, my source for the architects’ names, describes the building as having ‘A stripped Perp exterior on a cathedral-like scale’. In other words the tall windows, long upright mullions, and those stone turrets at the end all show the influence of ‘Perp’ – the English Perpendicular Gothic style of the 15th century. This is very true, but there’s more to the building than that. The very plain rectangular windows on either side of the turrets owe something of their proportions to the neo-Georgian architecture that was much used for office blocks and town halls in the early-20th century. And those low, segmental arches – four along the side and one on the end, forming the entrance – have nothing to do with ‘Perp’ or Georgian. 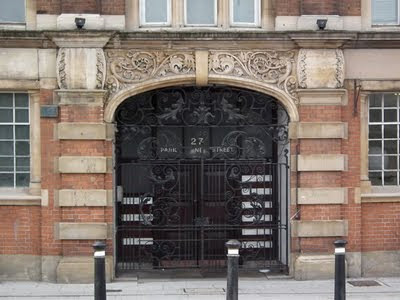 They have a hint of the Art Nouveau architecture of c 1910 about them, the sort of thing that the architects of London’s Mary Ward Settlement might have specified. This hybrid design concealed simple rooms for sailors, men who’d arrived in the nearby docks and needed a bed (Limehouse Basin is just across the road). A big bold building for such a basic purpose, it caught the eye of the Situationists, who held their conference there in 1960. 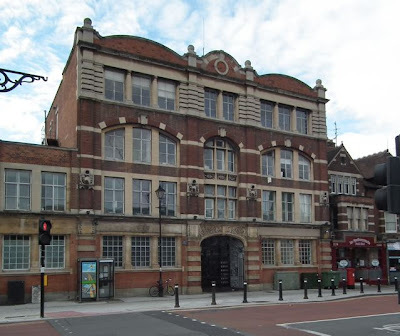 In 1989 the building’s owners, like many others at the time, were prepared to turn their backs on this proletarian and revolutionary history: they converted the place to flats. Its cathedral-like exterior is still as eye-catching as ever. 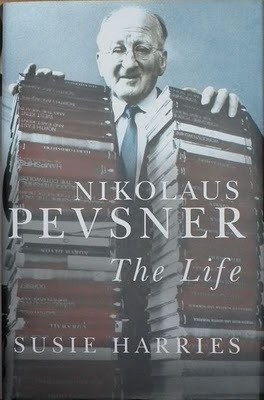 This is the second of two guest posts by Susie Harries, author of the acclaimed new biography, Nikolaus Pevsner: The Life. 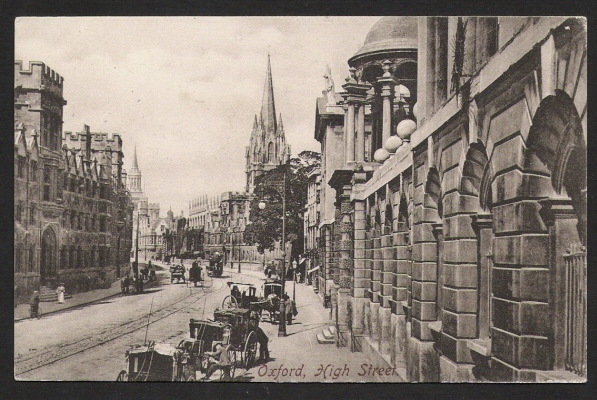 Having introduced Pevsner’s attitudes to Oxford in her first post, Susie now shows how his appreciation of Oxford developed in the 1940s, and how this appreciation was bound up with the idea of the ‘picturesque’, which became a key concept in planning as architects turned their thoughts to reconstruction after World War II. 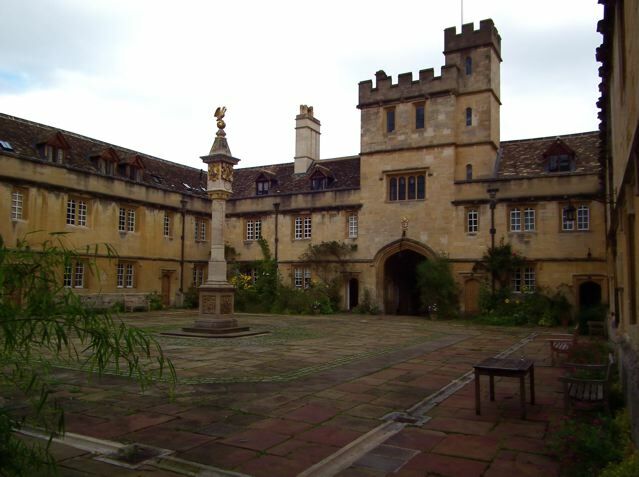 Each of the three colleges – Christ Church, Corpus Christi, St Edmund Hall – is a man-made landscape, wrote Pevsner, of a quintessentially English kind, deriving its harmoniousness from the English virtues of tolerance, humour and flexibility rather than from any superimposed order – displaying the instinctive manners by which Oxford, it seemed, set such store. There is little that is symmetrical about Christ Church: it was Wren’s enjoyment of the ‘free mixing of contrasts’ that prompted him to create Tom Tower. The ‘dramatic rough mass’ of the Library contrasts sharply with the smooth Palladian finish of Peckwater Quad. Again, at Corpus a ‘comfortable, businesslike’ quad leads into one that is compressed and intricate, classical leads into Tudor and the cosy into the forbidding. St Edmund Hall, ‘the epitome of collegiate picturesqueness’, is a jumble of different colours, textures and heights. ‘One’s curiosity never flags as one walks from one court to another, coming suddenly, for instance, from a dark passage into an open square,’ and, concluded Pevsner, ‘the same experience can be had in most of the other colleges, unless they are as exceptionally unlucky as Balliol’. ‘Three Oxford Colleges’ was one of the few finished products of some thinking that Pevsner was doing for a book in these immediate post-war years. At the instigation of the Architectural Review’s proprietor, Hubert de Cronin Hastings, he was exploring ideas on the English tradition in planning with a view to advocating the principles of informal picturesque planning as a guide in post-war reconstruction. The book never appeared, but in 2010 Pevsner’s draft was edited and filled out from his notes by Mathew Aitchison and published as Pevsner’s Townscape: Visual Planning and the Picturesque. 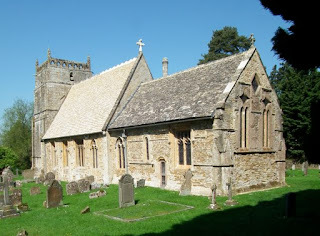 This is the first of two guest posts by Susie Harries, author of the recently published Nikolaus Pevsner: The Life, that I’m honoured to publish. 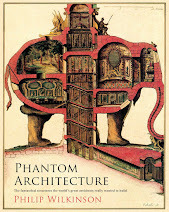 Pevsner’s work is indispensable to students of English art, architecture, and design. 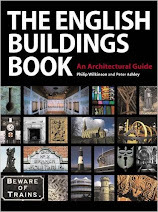 His An Outline of European Architecture has introduced countless students and amateurs to the subject; books such as Pioneers of the Modern Movement and A History of Building Types still engage specialists; above all, his monumental survey of The Buildings of England (over 40 volumes, county by county) is the guide and one of the most important art-historical projects ever. And yet Pevsner was an outsider to England, a German who showed the English what to look for in their architecture and helped shaped the culture he described. Susie Harries’s fascinating biography explores this remarkable character and his work. It’s one of the best biographies I’ve read in the last few years. In this post, Susie Harries looks at Pevsner’s reaction to Oxford. What appealed perhaps most to Pevsner about Oxford, however, was less the individual college buildings, ‘incomparably beautiful’ as they were, than their relationship to one another. Again and again he would take Oxford as a prime example of the Picturesque planning he so much admired – a place that had evolved organically, but not without design. Just over a year ago I posted about the lookers' huts of Romney Marsh in Kent, those small and simple buildings used for shelter by the shepherds of the marsh. Mark Duncan, the photographer who over the last few years has been making memorable images of these modest buildings, has a new exhibition of the results. The show marks the construction of a new looker's hut – the first to be built in many decades. I was attracted to Mark Duncan's photographs because of their concentration on these unregarded buildings – plain, brick-built structures, just big enough for the looker and his tools and belongings and for a stove to keep him warm in the chill of the lambing season. But I also admire these pictures because they capture the special atmosphere of the place. 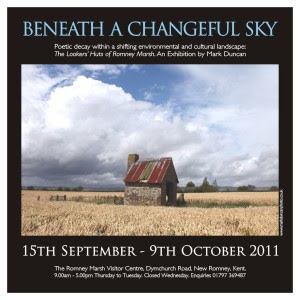 Romney Marsh, flat, remote, dotted with churches, weather-boarded houses, and poplars, has caught the eye of many artists, from John Piper to Derek Jarman. Mark Duncan's photographs, with their big skies and their variety of weather conditions and light, capture the place as well as any. Mark's exhibition is at the Romney Marsh Visitor Centre, New Romney, from 15 September to 9 October. There is more about the exhibition here. It’s a surprise to come across this tall pale house of 1891 amongst the deep red brickwork of Bedford Park, not far from Turnham Green underground station in west London. Architecture buffs will recognise it as the work of Arts and Crafts architect C F A Voysey, a rare town house from this master of country houses (another of his London buildings is here). 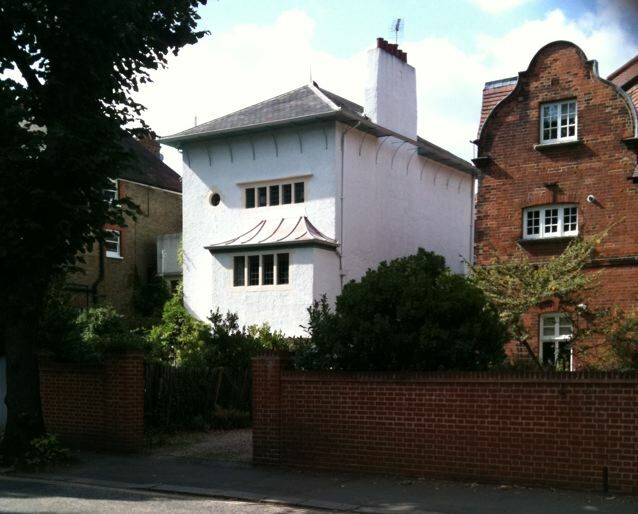 Reacting against the ornate brick gables, red tiles, and wooden window frames of the surrounding houses, Voysey covered the walls of this house, which he built for the artist J W Foster, in pale render, adding stone-framed windows that are arranged in horizontal bands to counterpart the vertical emphasis of the building as a whole. A few other touches – the roof of the bay, the little round window, and the brackets at the eaves – add some curves to relieve the straight lines that prevail. Some early observers were nonplussed. They found the leaded-light windows and pale walls old-fashioned – perhaps they expected an architect who flourished in the 1890s and the early years of the 20th century to be flirting with the French curves of Art Nouveau. What they got was Voysey reworking the Arts and Crafts style that had been developed by William Morris and his colleagues a generation earlier. With hindsight it also looks rather modern – the minimal ornament, white walls, and strip windows would become familiar in a different form a few decades later. Not that Voysey would have seen it that way. Living on into the 1940s, Voysey disliked modernist architecture and remained committed to organizations, such as the Art Workers’ Guild, that supported the Arts and Crafts. His work showed that it is possible to be traditional and striking at the same time. And that white walls can look good next to red brick and green grass. At last, from the hill that’s home to the windmill in the previous post, I got my glimpse of Compton Wynyates. This north front is not, I have to say, the most spectacular side of the house, but still gives a good impression of the character of the place – the mostly Tudor brick walls, the tall chimneys, the dormers in the roofs, the purely ornamental crenellations, the different levels. Above all, this cluster of brick wings and pitched roofs gives an impression of the way the house must have grown over the years with bits added here and there before a major revamp of the eastern part of the building – the part of the left of the picture is an addition of 1867 by Sir Matthew Digby Wyatt in a style in harmony with rest of the house. 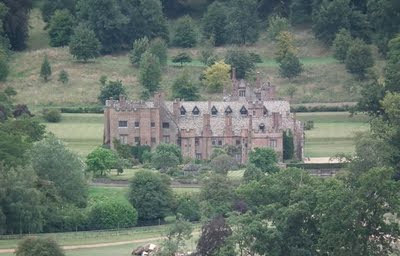 Looking at the house in its tree-lined valley one can understand what has usually made people enthusiastic about it. John Russell, in Shakespeare’s Country, noticed how the surrounding hills and trees rise up around so that ‘the house is seen as if in the bowl of an enormous spoon’. W H Hutton, in Highways and Byways in Shakespeare’s Country, called it ‘a wonderful picture of rose-tinted restfulness’. Pevsner, with his eye more focused on the ball, found in it the picturesque mode that so attracted him: ‘the perfect picture-book house of the Early Tudor decades, the most perfect in England of the specific picturesque, completely irregular mode’. Writers are apt to get lyrical about this place, but Hutton reminds us that Camden, referring to its setting, called it ‘Compton in the Hole’ and records a local ‘rustic’ showing a visitor around, remarking, ‘Did ye ever see sich a hole?’ Some hole. Having looked at Compton Pike, I decided to follow a footpath up the nearby hill towards another local landmark. I was heading towards the windmill that I’d seen on top of the rising ground behind Compton Wynyates, the country house that seemed to be hidden from onlookers – hidden, that is, apart form a tantalizing glimpse of Tudor brickwork through the gate and through the trees. When I got to the top of the hill and recovered my breath, the mill was a surprise. It’s a stone tower mill, but, unlike the imposing stone- or brick-built tower mills one is used to seeing, it is not a very tall structure – clearly the hill gave it most of the height it needed to catch the wind in its working days. The mill is said to date from the 18th century and to have been restored twice in the 20th, but has no proper sails, only the stocks. But apparently there is machinery inside, and with sails installed maybe it would turn again. 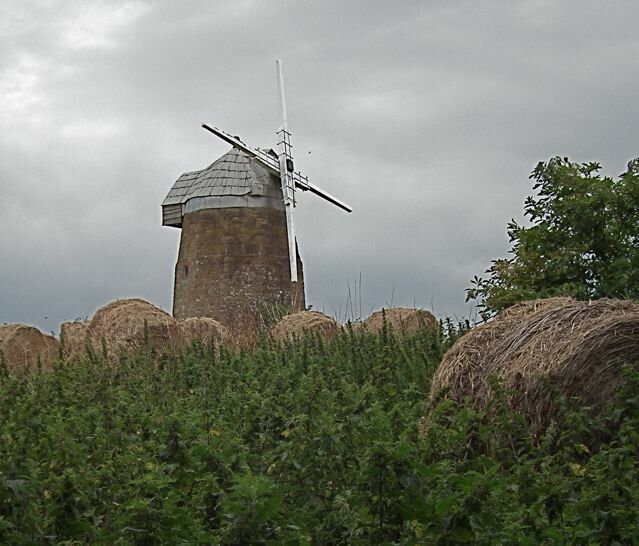 For now, though, this picturesque little mill seems destined to remain a hilltop landmark, admired by travellers along the lanes between south Warwickshire villages such as Tysoe and Brailes, most of whom probably buy their flour from Sainsbury's in Banbury or the Co-op in Shipston on Stour. 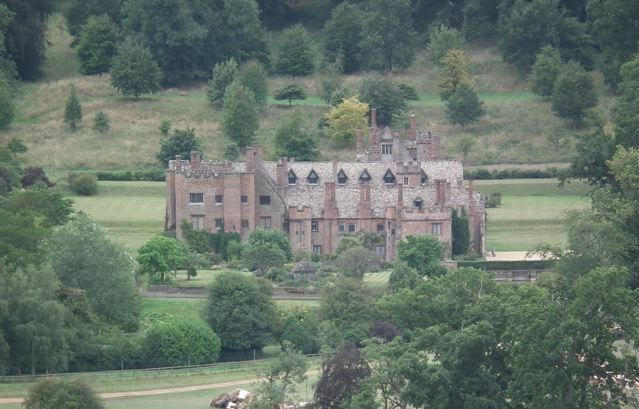 I recently spent a day bumbling around Warwickshire wondering if I could see the wonderful country house at Compton Wynyates from the public roads or public footpaths that surround it. Years ago this house was open to the public and I remember being enchanted by its forest of raspberry brick Tudor chimneys, Gothic windows, and gables. I seem to remember that the house could be seen from the nearby road, but its owners, who no longer open their home, now guard their privacy with trees, putting a spanner in my works. So I had to be content, for now at least, with some interesting neighbouring structures, such as Compton Pike. My first sight of this curious landscape feature was a glimpse of the very top just beyond the crest of a hill. 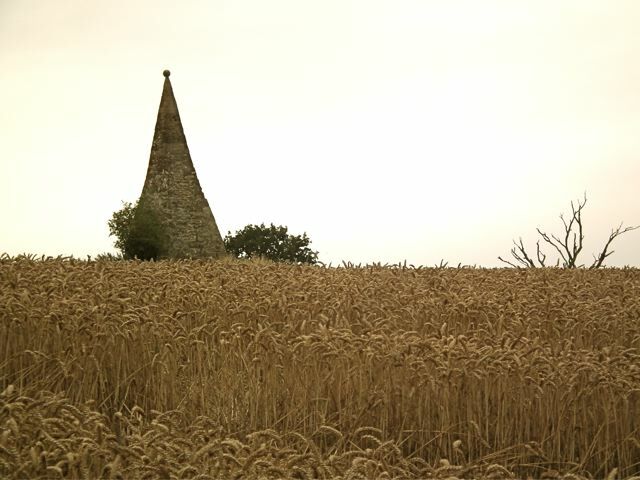 Walking along the edge of the field reveals an elongated pyramid of local ironstone, topped with a ball finial. Compton Pike was probably put up in the 16th century as a signalling beacon – an iron hook protruded from the finial, and this supported a flaming lantern. It may have been used in 1588 as part of the chain of beacons that warned of the arrival of the Spanish Armada. It has remained ever since as a landmark and an obstacle to farm workers with combine harvesters, one of whom was about to negotiate it when I took this picture before bumbling on with my search. There are perhaps a few people who have been reading this blog for several years, and some of them may remember that I once posted about Frank Cooper’s grocery shop on The High in Oxford, the original home of Cooper’s Oxford Marmalade. The marmalade, which Cooper made first in the 1870s, became so popular that by the beginning of the 20th century it was necessary to build a dedicated factory to meet the demand. Cooper’s marmalade factory was built in 1902 to designs by Herbert Quinton. It’s in that late-19th-century hybrid mode which is not too far from Queen Anne and is often referred to by architectural historians as ‘Free Style’. Red brick and Bath stone masonry; big windows, carefully treated; neat details like the little Tuscan columns that divide some of the windows – this is the mix of features that typifies Free Style, and which makes this building catch the eye. The central carriage entrance is especially ornate. The carved ornament above the entrance, the banded masonry on either side, the whacky bulges above them, not to mention the fancy iron gates all add up to something special. 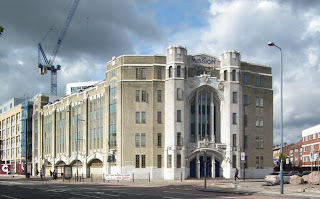 And up at the top of the building, the curvy (echoing the curvy tops of the second-floor windows) is a nice touch too, concealing the roof and, with its ball finials, adding some interest to the skyline. It’s quite a rich spread of a building, then. 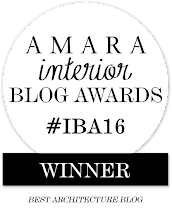 But also, one imagines, quite practical – those big windows make for a light and well ventilated interior. Part of it is now used as The Jam Factory, a combined arts centre, restaurant, and bar, and its light, spacious interiors seem well suited to this role too.